An accent wall or “feature wall” is a wall whose designs differ in color, texture, or material from other walls in the room. Bright pops of bold contrast paint, stencils, and wallpaper have been the accent wall standard. Until now. This is not your mother’s wood paneling. Du Chateau wall coverings brings the forest indoors; playing on the vintage farmhouse trend, but elevated to something much more sleek and modern. 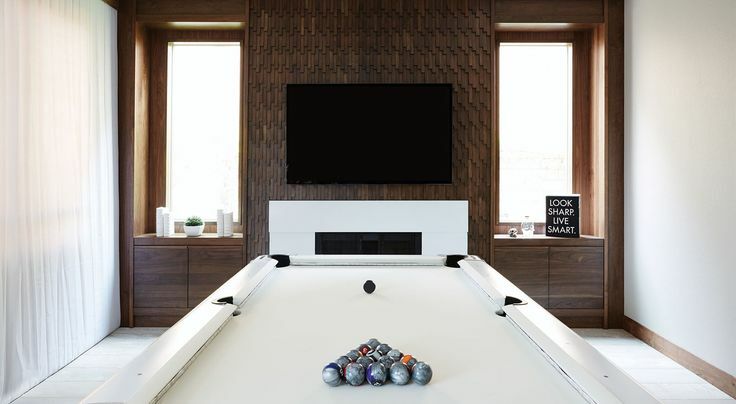 Not limited to accent walls, this versatile paneling can be used on entertainment centers, desks, built-ins, and more. 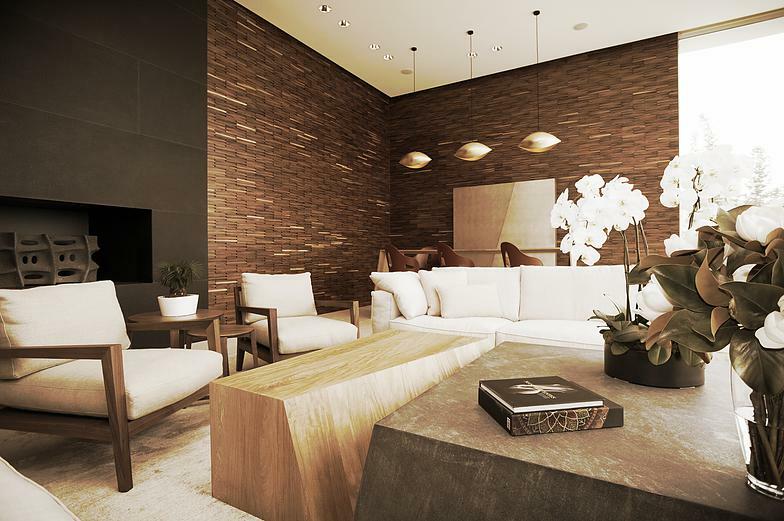 These real hardwood wall coverings are constructed of White Oak or Walnut. There are many patterns, colors, and finishes available. Dress up your surfaces in metallic, stained, painted, and distressed wood options. For projects big and small, ease of installation is key. The panels are painlessly installed with construction adhesive and fine nails. There is no additional framework required. However, prepping your surface with a coordinating paint color is recommended. With all of the building products on the market today, there are few that are truly environmentally friendly. Du Chateau wood products are sustainably sourced and have passed rigorous testing to maintain multiple low-emission and sustainability certifications including LEED, FSC, Lacey Act, and CARB-2 compliance. Ready to see Du Chateau in action? Visit Area Floors and have one of our experienced design consultants help you choose the right style for your home or business.